If you are a microbiologist looking to find your perfect new home state, take a look into our list of the 25 best states for microbiologists. “A microbiologist is a scientist who studies microscopic organisms including bacteria, algae, and fungi. Often, they study organisms that cause disease and environmental damage or are of industrial or agricultural interest. They also study the characteristics of nonliving pathogens, such as viruses and prions”, according to Environmental Science. Becoming a microbiologist requires a great deal of education and training. While a 4-year Bachelors degree is enough to generally land you an entry-level position, a Masters or Doctorate degree will be necessary to attain most higher-level positions, including independent research and teaching in universities. If you find the microscopic world to be fascinating, then the field of microbiology may be the perfect fit for you. I do not possess many of the necessary skills to be a microbiologist, and I also have a great fear of accidentally poisoning myself or creating some sort of mutant super virus. So, I’ll leave this job to people who should actually be allowed to set foot in a lab. The Bureau of Labor Statistics claims that the median annual salary for microbiologists is $66,850 per year ($32.14 hourly). Most microbiologists work in laboratories or offices to conduct their research and present their findings. Some will do field research, and travel to specific on-site locations. Microbiologists must display a great deal of patience, attention to detail, independent drive, and superior IT, numbers, and analytical skills. Also feel free to check out our list of 25 best states for medical secretaries. Deciding which states qualify as the “best” is not a simple task. Different factors matter more to different people. We decided to consult the Bureau of Labor Statistics for information on the average mean wage and the number of employed microbiologists in each state. We then sourced information on the cost of living index from Missouri Economic Research And Information Center. Considering all of these factors, we were able to sort our list of best states for microbiologists. It is not enough for a state to simply have a high average salary for its microbiologists. 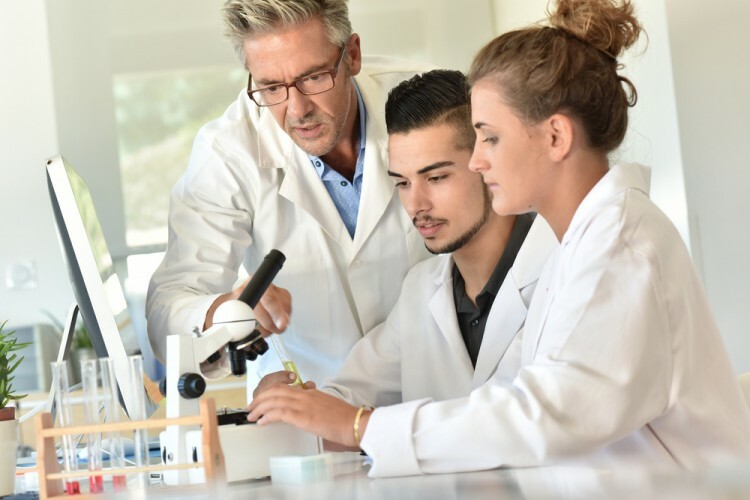 It must also be considered that the number of working microbiologists in the state may affect the number of job positions that are open to newcomers. On the other side of that argument, more employed microbiologists points to the possibility of a more steady stream of work available. The cost of living index can also not be considered alone. It is great to have a low cost of living, but this only matters if your salary is also not super low. A low cost of living paired with a high salary is the most advantageous situation. States falling into this category made the top of our list. Without further ado, here is our list of 25 best states for microbiologists.